After purchasing this deal, you will need to bring the voucher to the event to complete redemption. Promotional value expires Jun 2, 2019. Amount paid never expires. Registration required. Limit 1 per person. May be repurchased every 180 days. Must be 18 or older. Merchant is solely responsible to purchasers for the care and quality of the advertised goods and services. 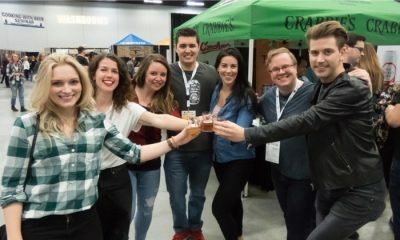 Calgary International Beerfest gives its guests an opportunity to increase their beer knowledge and find their new favorites by sampling some of the more than 500 different types of beer on site. Guests can participate in beer seminars and vote for the People’s Choice awards. In addition, it is a good occasion to meet new people, sample delicious foods, enjoy the atmosphere and entertainment, and most importantly have a great time.